In a rather untypical Alcatel move for a major event, the company unveiled just four devices at this year's MWC (or should we say 'so far'?). 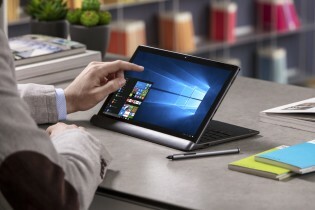 Those include a trio of smartphones and a Windows 10 2-in-1. 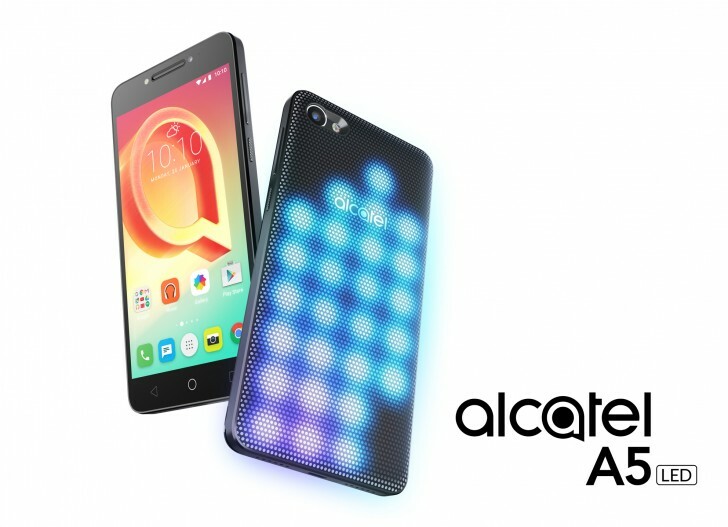 The Alcatel A5 LED is the most interesting of the phone bunch - on the one hand, it boasts the best specs, but on the other - its back is lit. Literally. First things first, though - the A5 LED sports a 5.2-inch 720 IPS display, and is powered by the Mediatek MT6753 chipset, an octa-core 1.5GHz CPU at the helm. There are 2GB of RAM on board and internal storage is 16GB, expandable via microSD. An 8MP primary camera sits on the back, while selfies are covered by a 5MP snapper, and both capture 1080p video. The A5 LED runs on Android 6.0 Marshmallow and has the basic connectivity options covered - you get Cat.4 LTE, Wi-Fi b/g/n, Bluetooth 4.2, and GPS. A 2,800mAh battery keeps the lights on and you charge it via good old microUSB. That's the boring stuff, though. The fun's on the back - the A5 LED has a snap-on rear cover with an array of LEDs (hence the name, duh) that light up dynamically and can produce patterns and display notifications. There's a dedicated app that's in charge of the process and the LEDs can even be set to light up to the tune of the music that's playing. That's not all. There are other back covers too - one is a battery pack, the other - a speaker with a kickstand. They snap on to the back like a conventional rear panel would back in the day when all back covers were removable. 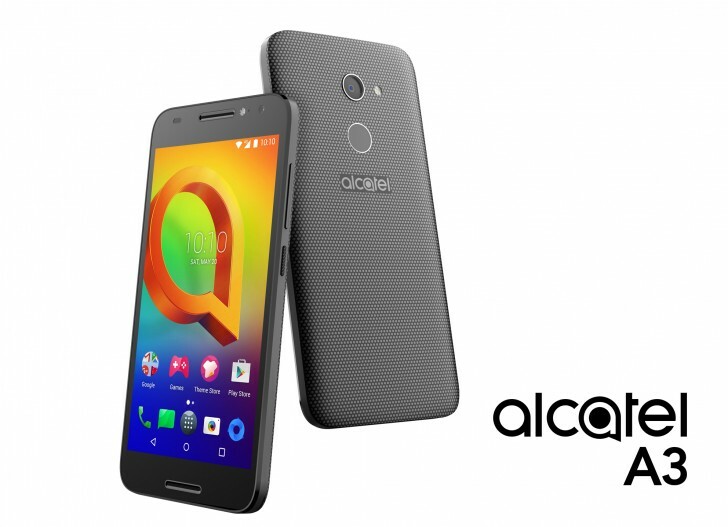 Next in line comes the Alcatel A3 - no fancy LEDs here and even less impressive hardware, but Alcatel calls this the 'Most Affordable 5" HD Smartphone', so there's that. The specsheet starts with a 5-inch 720p IPS display and goes to list a Meidatek MT6737 chipset with a quad-core 1.25GHz CPU, 1.5GB of RAM and 16GB of storage. This one has a higher-res 13MP primary camera than its big bro, but it's again 5MP on the front. The A3 also has a fingerprint sensor, unlike the A5 LED, would you believe it? Battery capacity is listed at 2,460mAh. 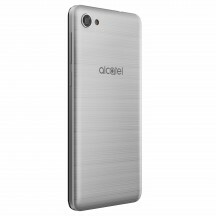 The Alcatel U5 is the most modest one of the three, but it's also 'the most affordable 5" 4G smartphone', Alcatel says. This one is equipped with a 5-inch display with a rather coarse 480x854px resolution, quad-core 1.1GHz CPU inside a Mediatek MT6737M chip, a single gig of RAM and 8GB of storage. The PLUS 12 is a whole different beast. 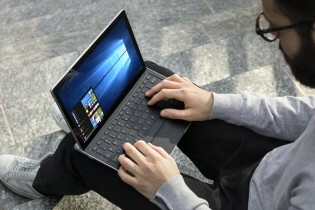 A Windows 10 2-in-1, the PLUS 12 features an 11.6-inch IPS display (which does technically round up to 12") with FullHD resolution and measures a reasonably compact 284 x 175 x 7.9mm. The keyboard part of the duo is marginally larger at 287.5 x 186 x 6.9mm, and the whole ensamble weighs in at 990g. Anyways, the PLUS 12 runs on an Intel Celeron N3350 processor and comes with 4GB of RAM and 64GB of storage, albeit in a weird 32GB eMMC + 32GB embedded microSD config. You can also add your own microSD, up to 128GB. The tablet is powered by 26.8Wh battery, packs a fingerprint scanner and isn't strapped for connectivity options - you get a USB-C, micro HDMI, and a 3.5mm audio jack. 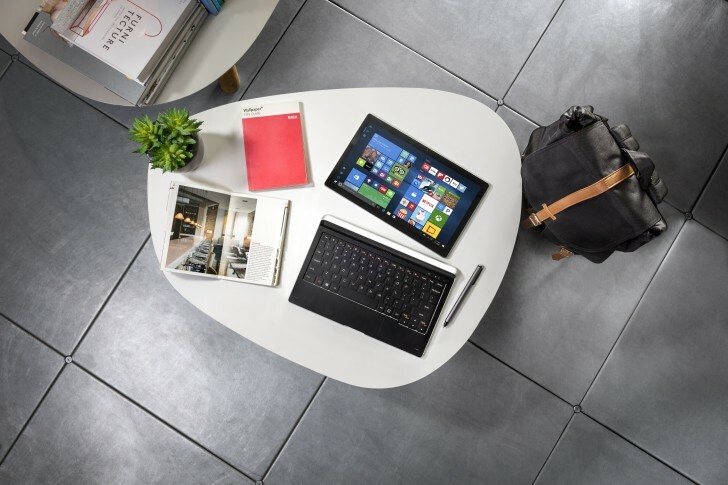 The tablet communicates with the keyboard via 7 pogo pins, and that's one rather essential link - the keyboard packs the bits and pieces for LTE connectivity - SIM slot and radios. It has a heart of its own - a Qualcomm MDM9207 with a single Cortex A7, plus 128MB of RAM. It can carry its own power too (2580mAh of it) and adds a full-size USB-A port for activities. There are no details on pricing and availability for any of the products just yet.